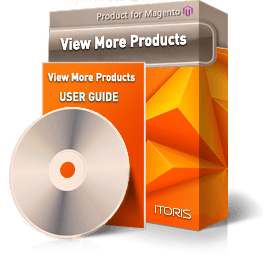 Load the next page without refreshing the entire page using the View More Products extension for Magento. When the customer reaches the bottom of the page, the extension opens the next page automatically using the AJAX technology or shows the “load more” button. There is now no longer a need to refresh the entire page to view more products! The View More Products extension allows scrolling pages automatically when the customer reaches the bottom of the page. Enable auto scrolling on category pages and search results pages. More products are loaded without any additional clicks. The customizable button is added to the bottom of the catalog page, and when it’s clicked a new set of products is loaded below. The AJAX-driven extension with visual effects provides convenient usage for all customers. The module supports both list / grid catalogs. Improve user experiences by allowing the customers to scroll the next pages automatically without reloading the entire page. 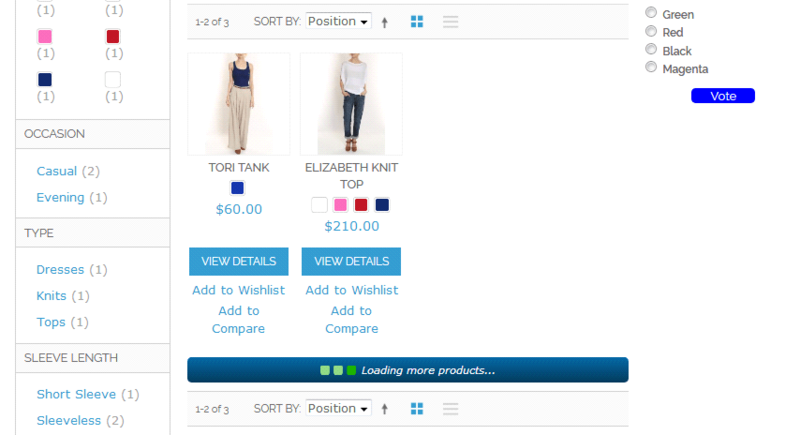 Auto scrolling perfectly works on both catalog and search results pages. Now your customers see a new set of items without having to leave the page. Let the customers click the more button and load new products without refreshing the page. You can easily customize the title for the button.